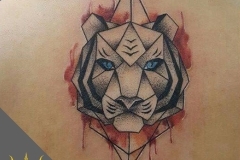 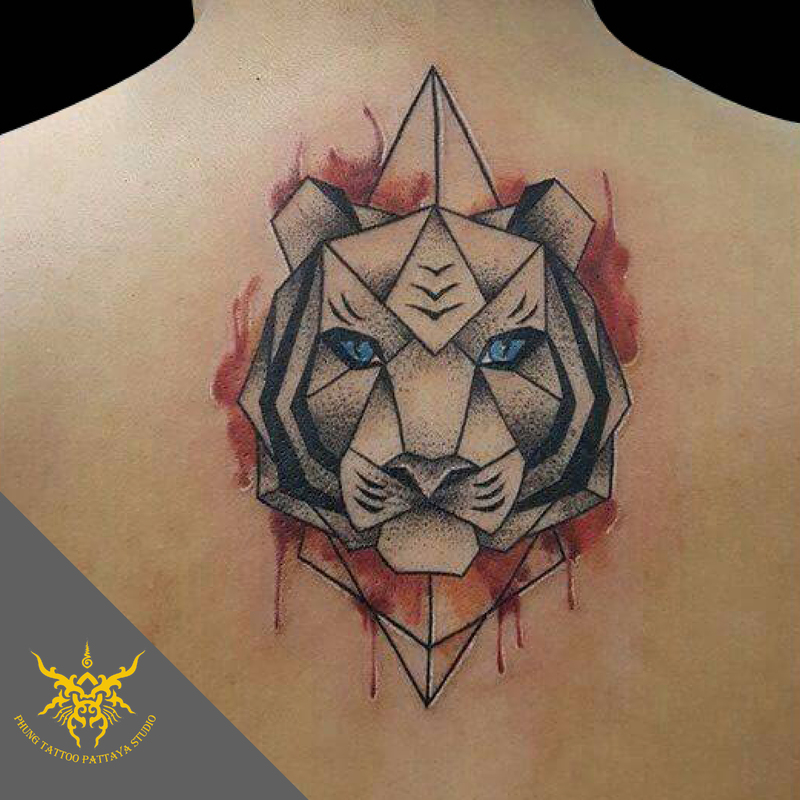 Phung Pattaya Tattoo Studio - Your Creative Ink Matters to Us! 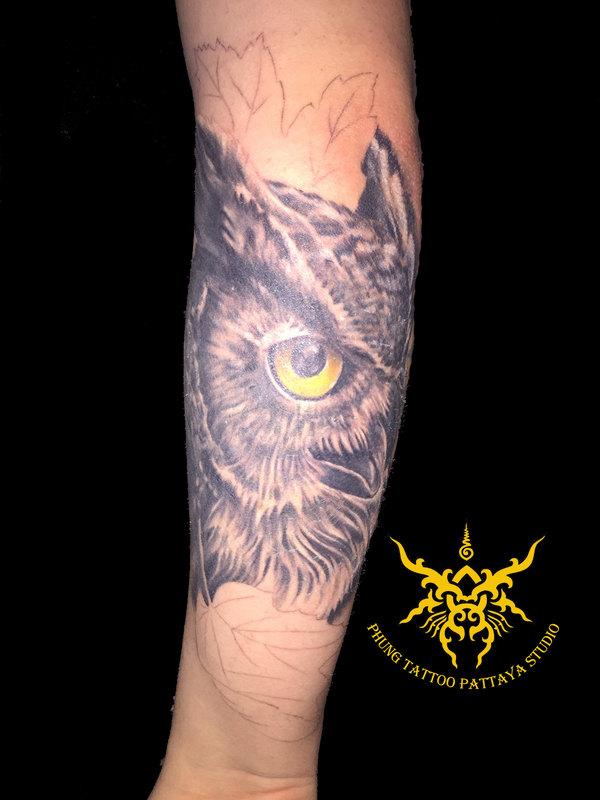 Phung Pattaya Tattoo Studio has been open since 2011. 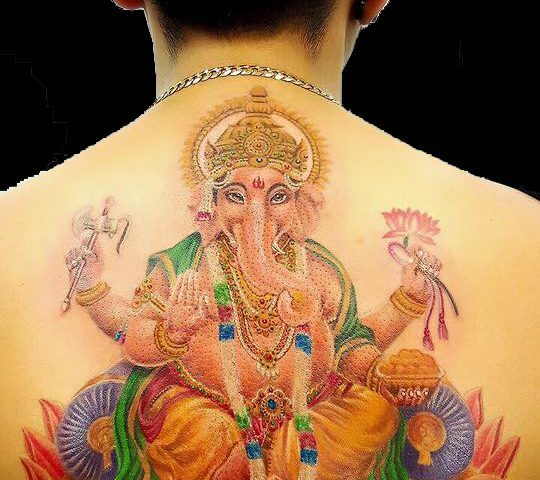 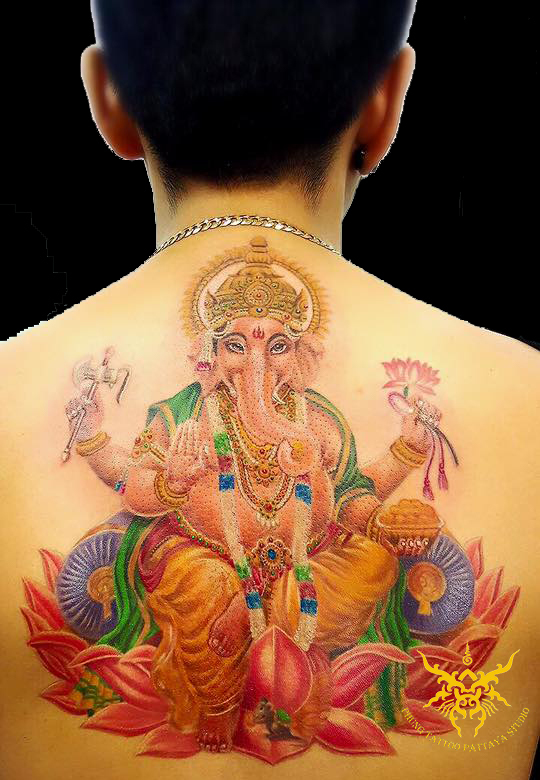 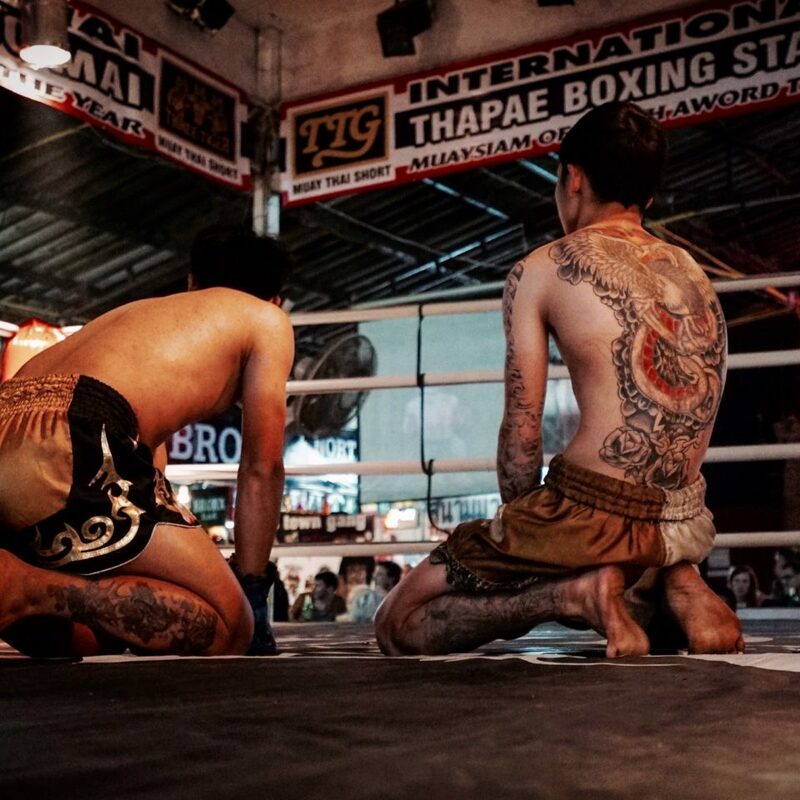 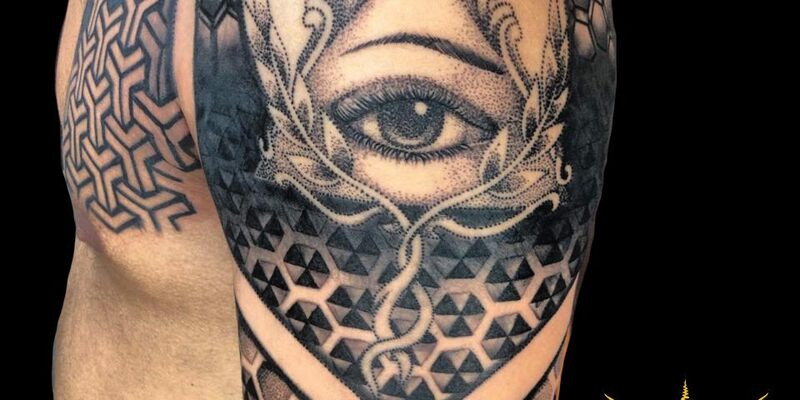 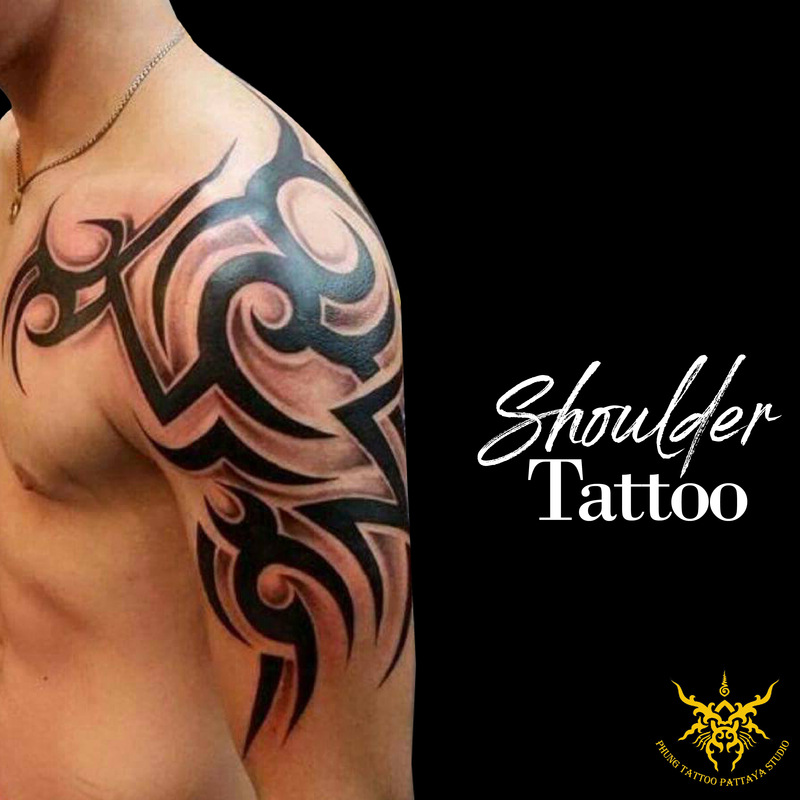 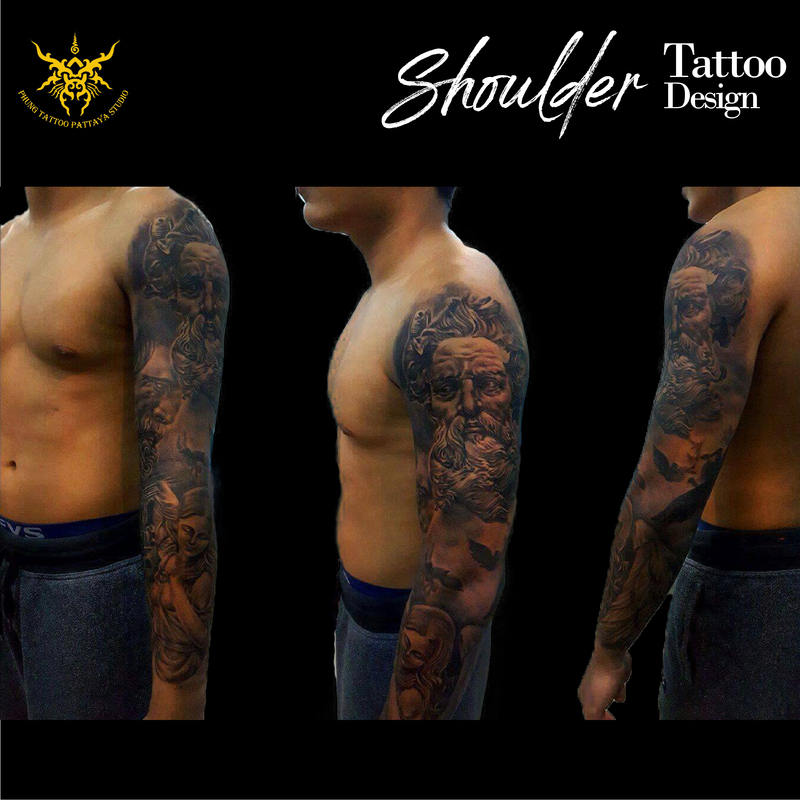 Phung Pattaya Tattoo studio has been operating successfully in Thailand since 2011. 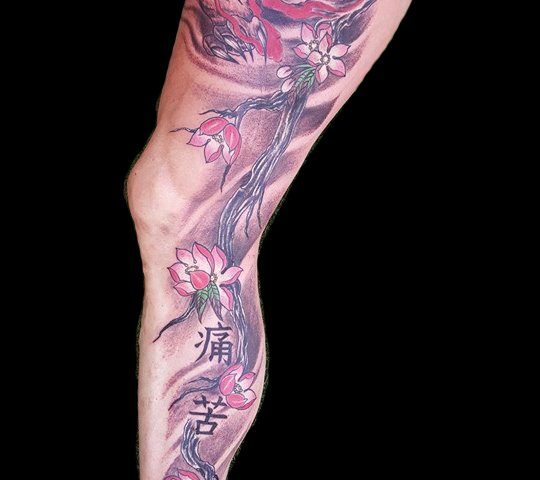 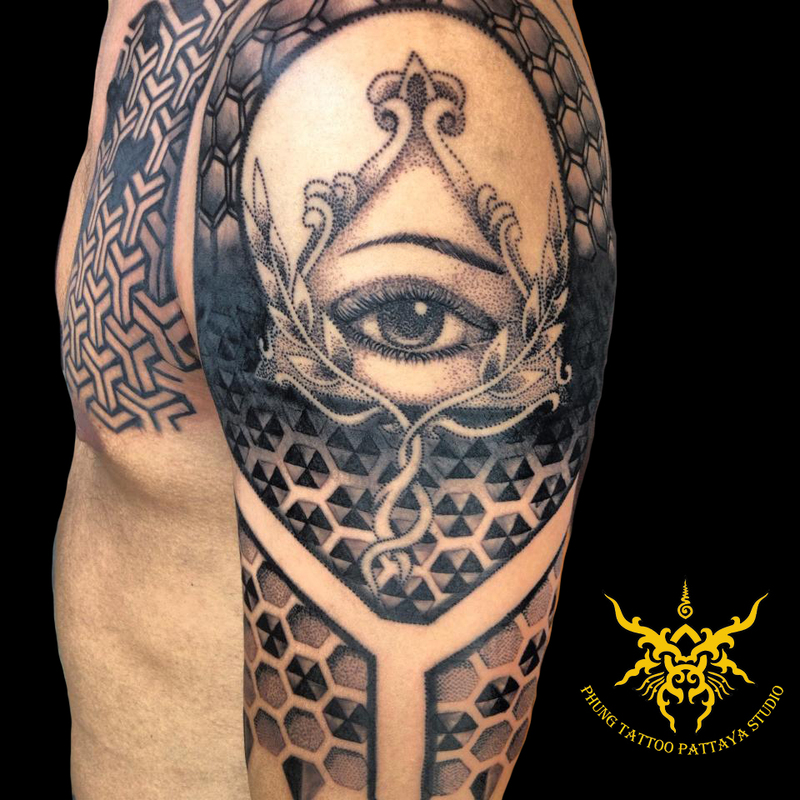 The main Artist is K.Note who has won many international awards for Japanese style and freehand Tattoos in the relevant categories. 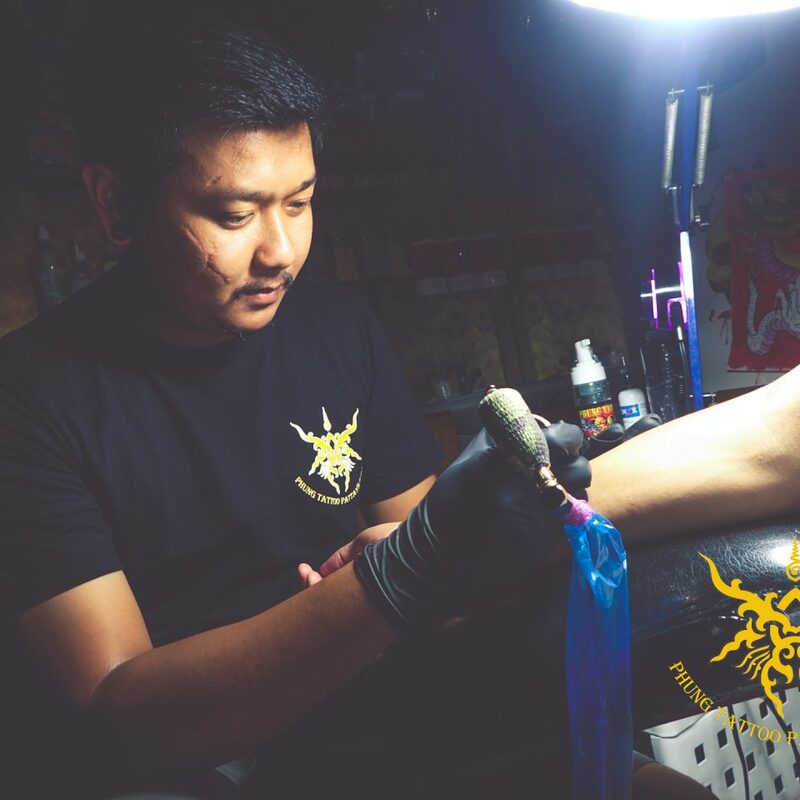 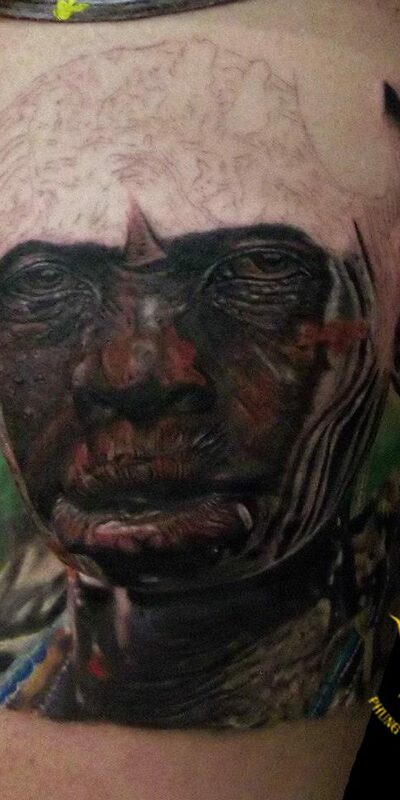 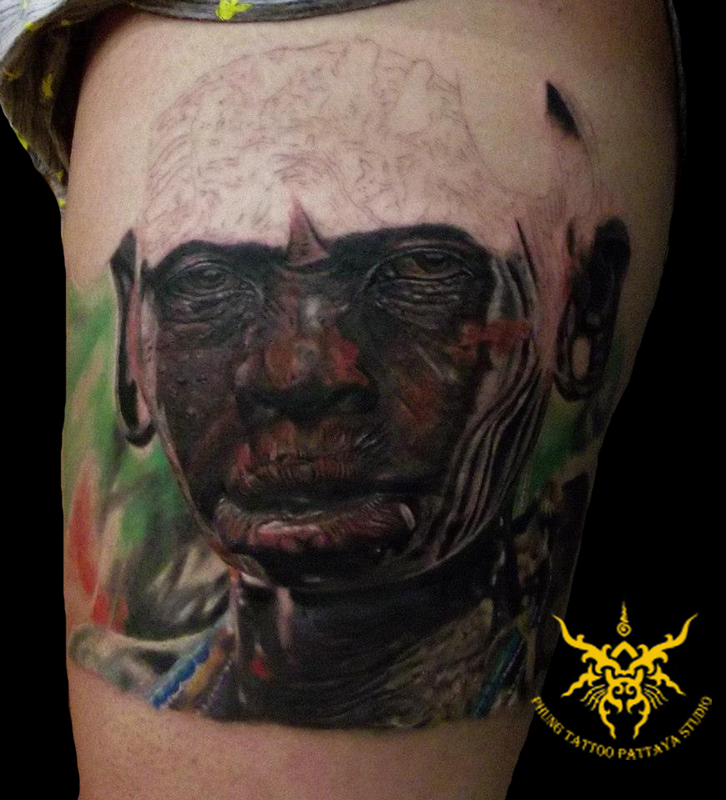 With years of experience and special talent K.Note does the job he loves to create outstanding art on the skin in the form of tattoos for thousands of people. 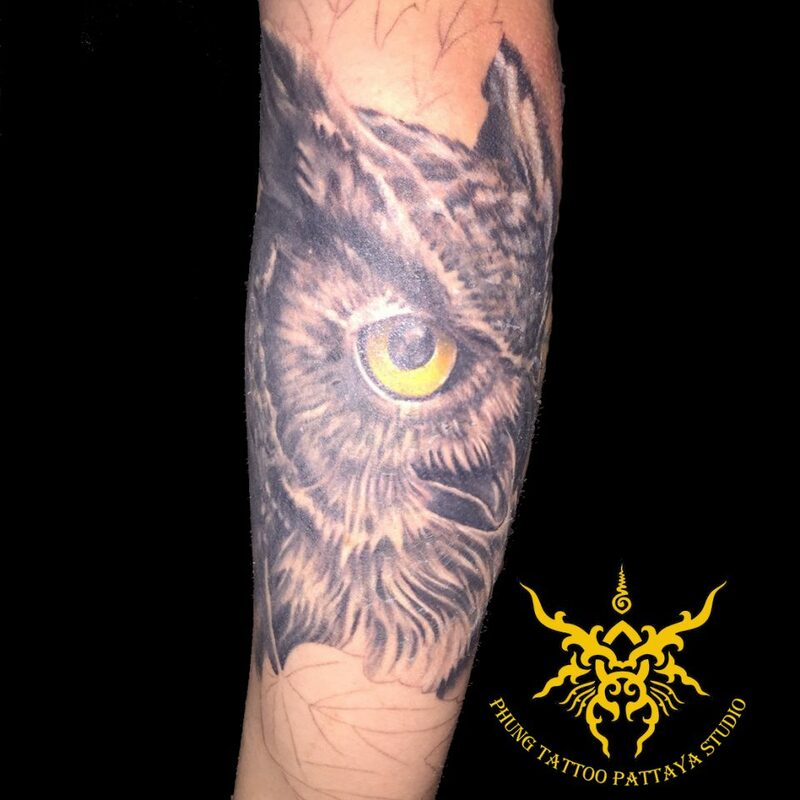 Phung Pattaya Tattoo Studio recently welcomed K.Tui, to the team who has been tattooing for 4 years and has been learning his skills and qualities from K.Note. 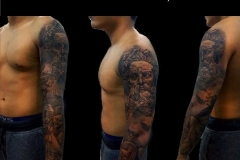 The team has seen how his art has improved and grown over the past few years. 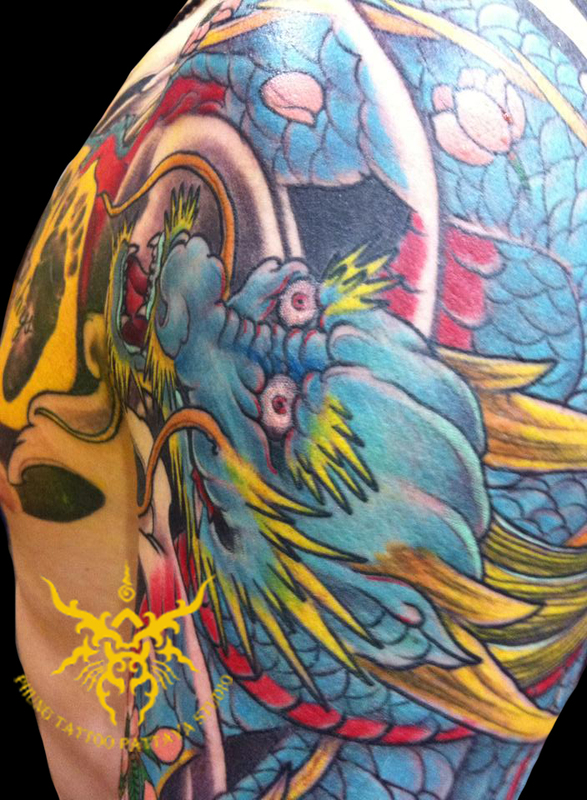 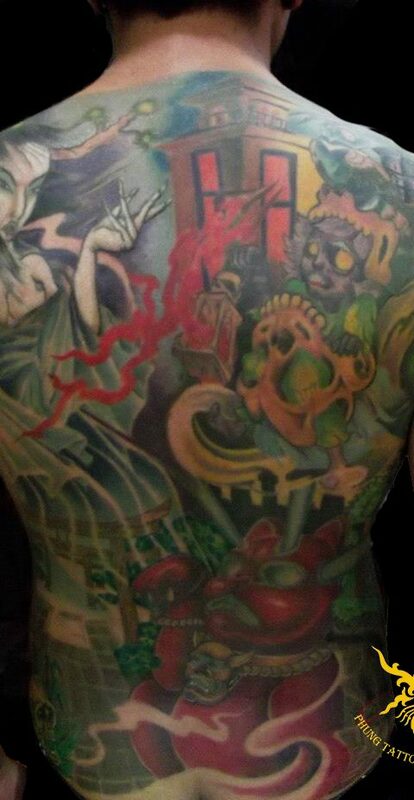 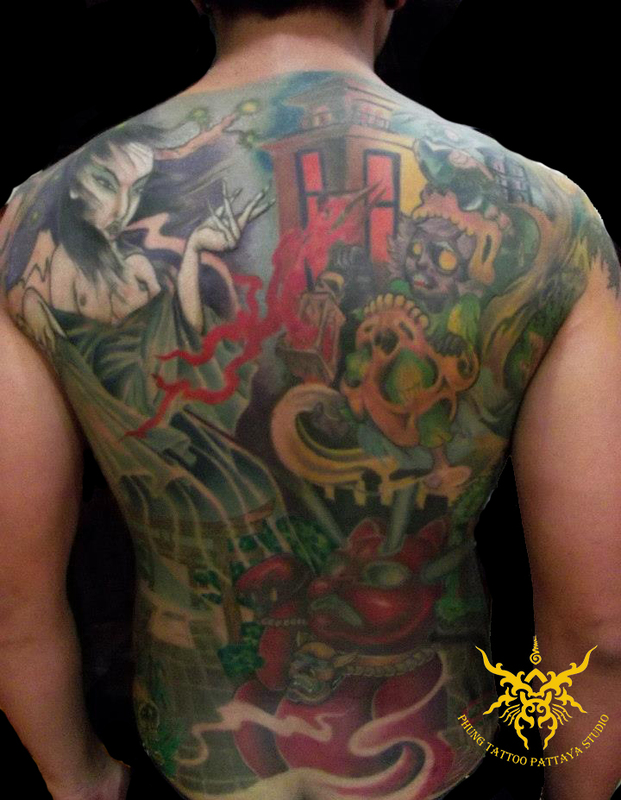 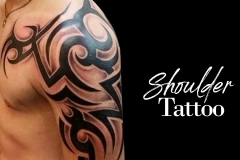 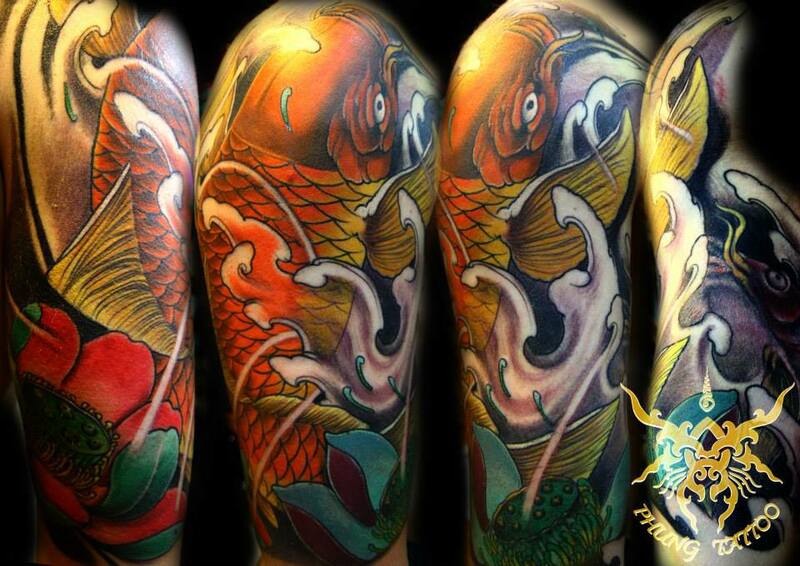 K.Tui is adept in helping clients choose the right tattoo with colors, size, and positioning on the body. 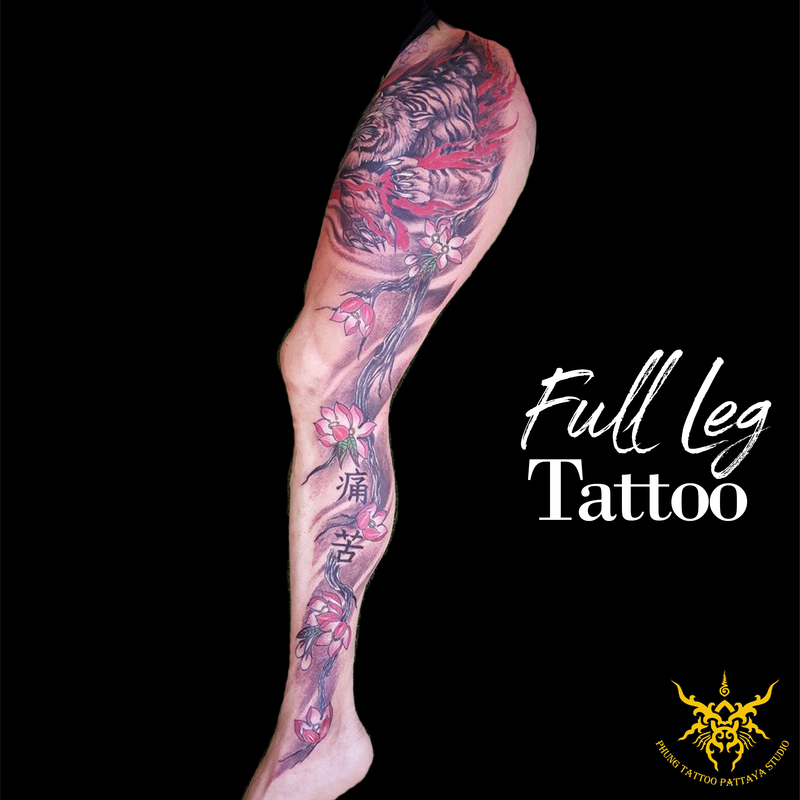 The studio is right on the way to beach road from Pattaya Klang Road, just a little bit further after Sai Song (2nd Road) Intersection. 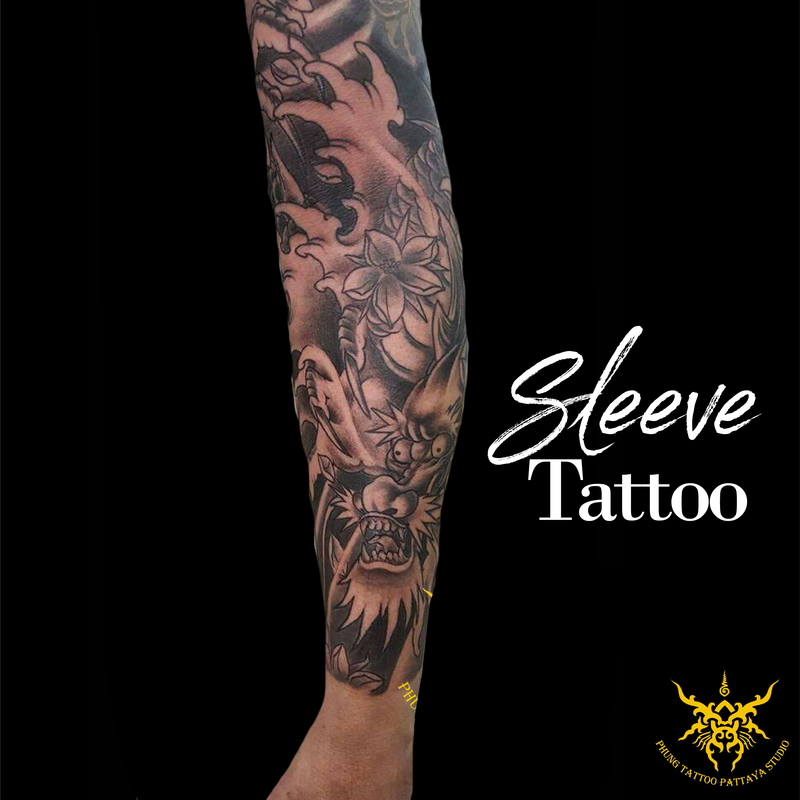 You will find the office standing on the left of Central Pattaya Road which is open Monday to Saturday from 9 a.m. to 9 p.m. 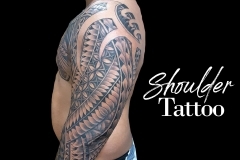 The Tattoo Studio is clean and Sterile as you would expect from any professional business to Western standards, needles are always new. 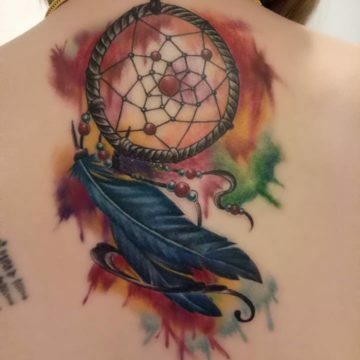 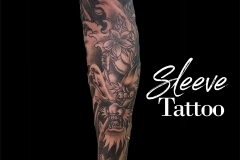 If you have ever wanted that dream Tattoo but not found the right Studio then come by or the studio or call. 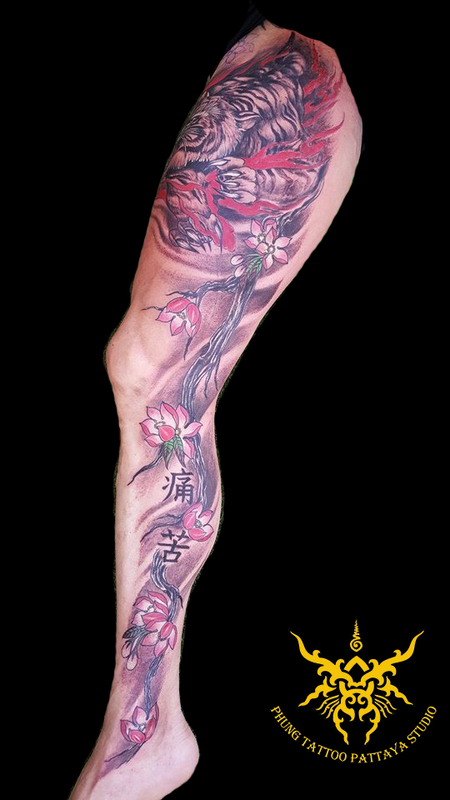 The traditional tattoo style of “yak sant” where the artist uses bamboo is also available. 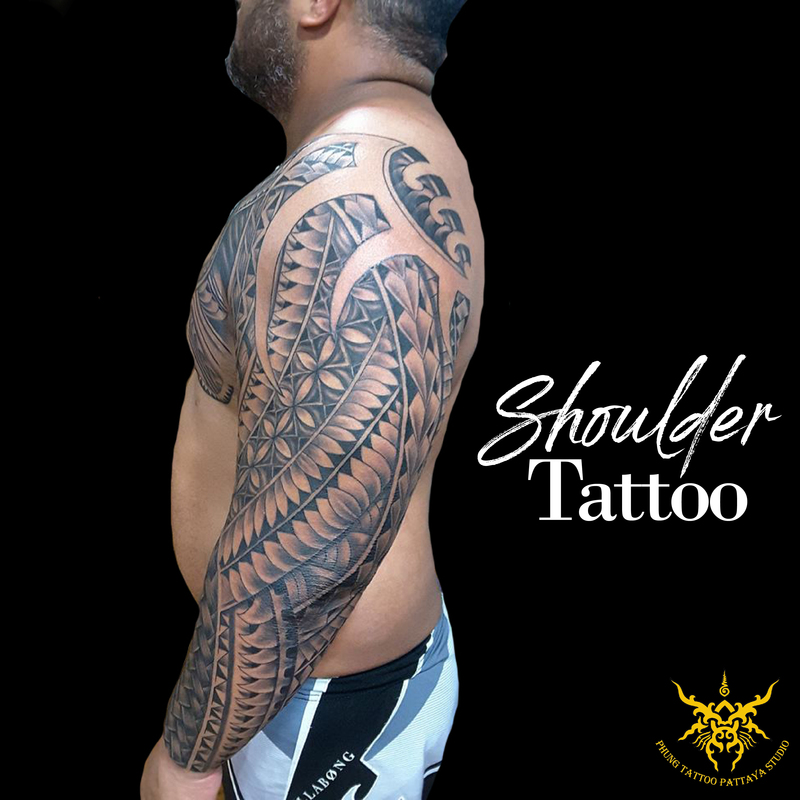 The artists will take time to make sure you get the right Tattoo that you have wanted, at the end of the day you have to be happy with your new Tattoo as it will be there forever. 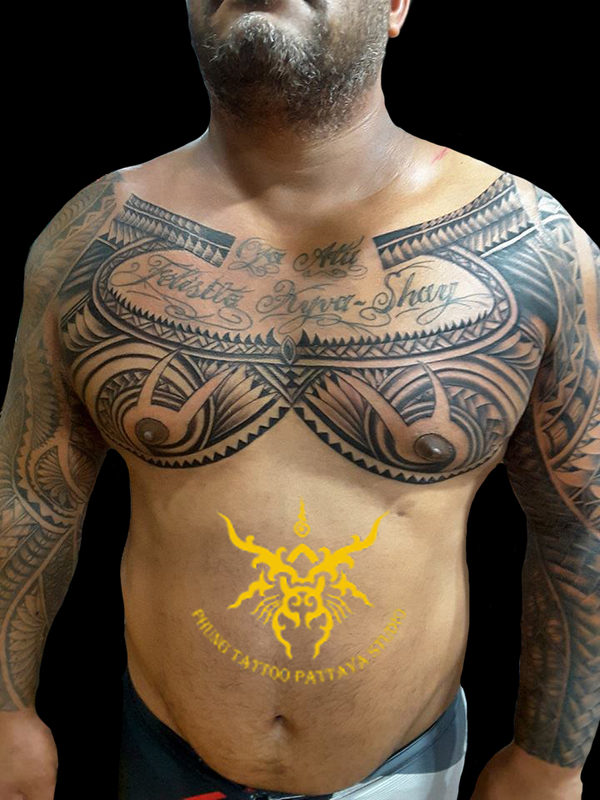 The safety of our clients is of utmost importance at Tatu Pro. 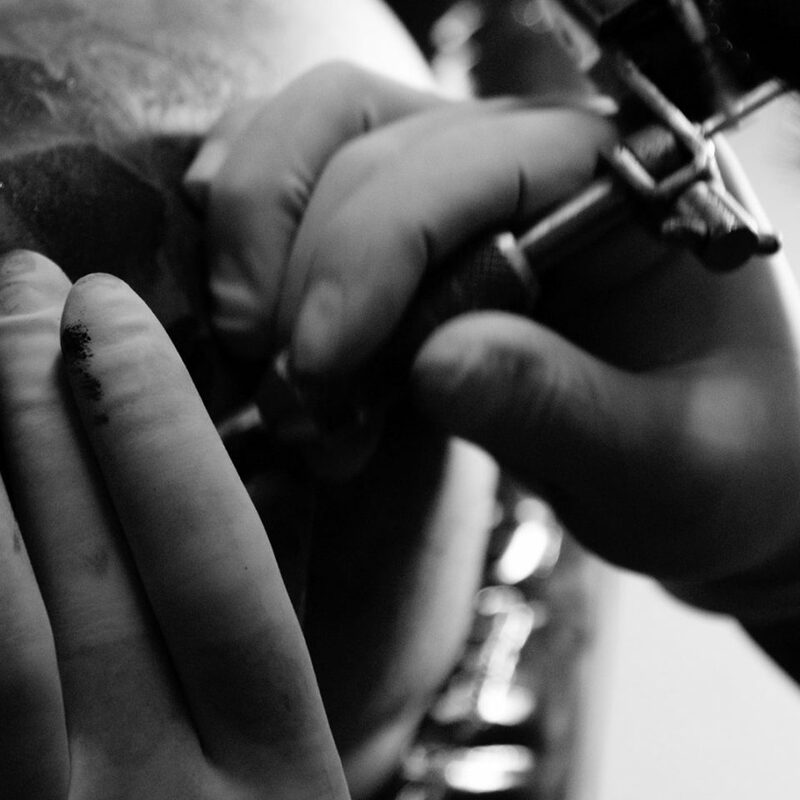 We ensure that all tattoo and piercing instruments and materials are either thrown away or sterilized in a high-pressure, high-temperature autoclave after each use.